But, if you are you ready to take your Coach Training to the next level, to build your level of coaching competency and create the coaching business of your dreams… consider investing in yourself and purchasing Cathy’s coaching books. 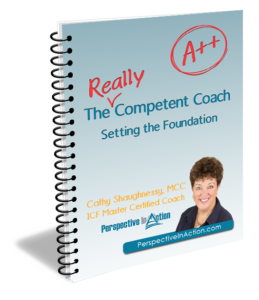 These ebooks by ICF Master Certified Coach, Cathy Shaughnessy take what she has learned from her years of experience as a coach and put them in an easy to follow format so you can digest, discover, implement and change the progress of your coach training and development. Learn from a Master. Develop your Coaching Career with insider know how. 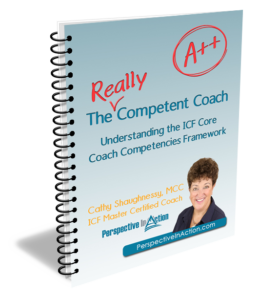 The Really Competent Coach – Understanding the ICF Coach Core Competencies.